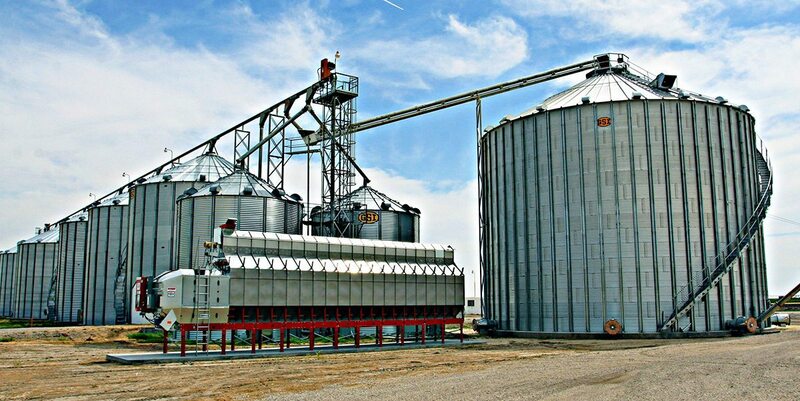 At Woofter Construction, we’re proud to be known as the Kansas-area experts on grain handling and storage. Whether you need a brand-new grain storage building or want to add an addition to an existing structure, we can construct a wide variety of top-quality grain and other agricultural storage buildings. We also supply trusted grain handling equipment. Let us know what you need, and we’ll be happy to help! Find more details about our agriculture systems below. Keeping your grain in top condition is imperative to the success of your agriculture operation. You can do just that with the help of our grain silos and grain bin houses. Our grain storage options are built to last and properly preserve your grain to maximize your profitability. We understand that all of our customers have unique grain storage requirements based on their particular businesses. 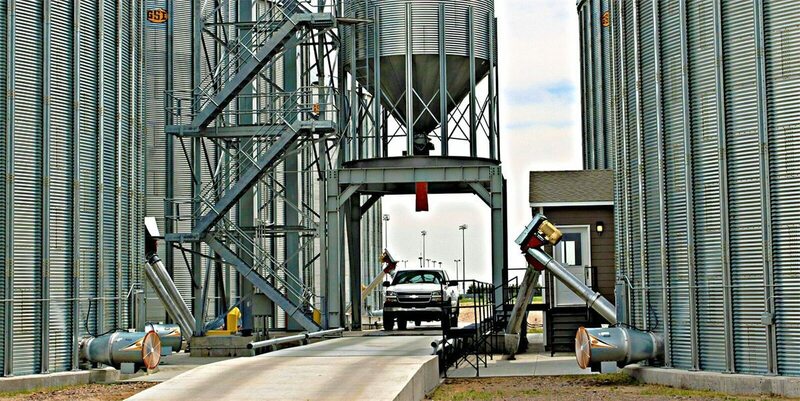 Rather than try to offer our customers a one-size-fits-all grain storage solution, we work hard to offer custom buildings and equipment tailored to your specific storage needs. 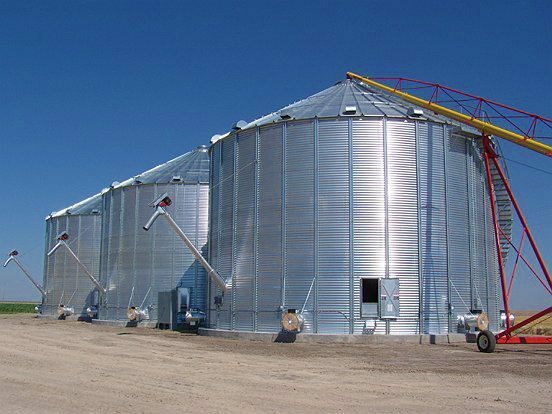 From standard-sized grain storage bins to bins that can hold more than 1 million bushels, we have you covered. The friendly and reliable team of experts at Woofter Construction can do more than help you with grain storage. We also make it easy to preserve your grain. Woofter Construction is a one-stop shop for augers, temperature cables, fans, and more. It’s important to keep tabs on your grain throughout the storage process to prevent it from becoming too warm or moist — conditions that can compromise the quality and viability of your crop. Keeping grain properly ventilated and cooled is pivotal, and with our grain handling tools, the process is simple and stress-free. Anyone in the agriculture industry knows that solid storage buildings are a must. We can provide new buildings or build additions to your existing structures. Woofter Construction can also design and construct specialty customized buildings. No matter what you need to store, we can construct a building to keep it safe and dry! From traditional ag storage buildings to mini-storage units, we’re well-versed in storage solutions of all shapes and sizes. Our structures are reliable, durable, and well ventilated, so you can rest easy knowing that your property will be safe, secure, and out of the elements in a building that will last for years to come. Contact us today if you’re in the market to upgrade your existing ag system or if you need new storage buildings, grain storage structures, or grain handling tools and equipment. We’ll be happy to go over your options with you and work on a custom quote suited to your needs. You can also fill out the convenient quote form below, and one of our representatives will be in touch shortly. We look forward to working with you and showing you why we’re known as one of the leading agricultural experts in the Colby and Leoti areas! 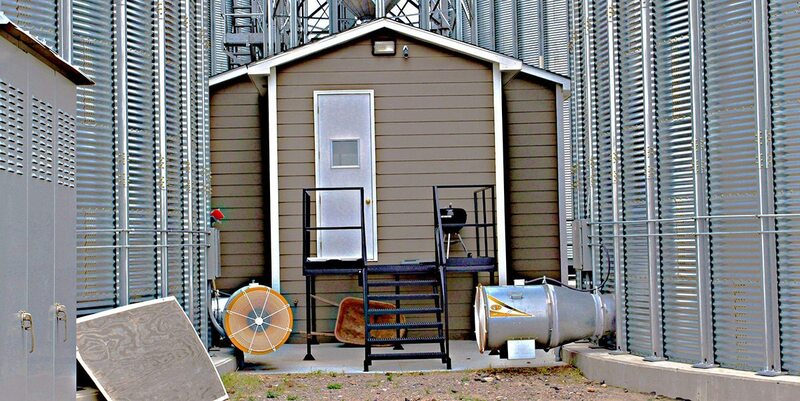 Keep your grain in good condition with our grain silos and grain bin houses. Our grain storage options are built to last and properly preserve your grain to maximize your profitability. We not only help you with grain storage. We also make it easy to preserve your grain. Woofter Construction is a one-stop-shop for augers, temperature cables, fans, and more. Anyone in the agriculture industry knows solid storage buildings are a must. We construct new buildings and building additions, as well as specialty, customized buildings.